Pastel colors are all the rage this season. You will see anything from blues and greens to lilacs and mauves. 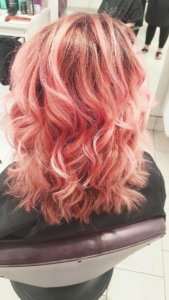 “Mermaid hair” and “rainbow hair” are now fitting the norm of colors in the hair industry. Whether it’s bold color all over or subtle peekaboo highlights, these shades aren’t going away anytime soon! Book a consultation with us today to get your summer look! Beachy waves are the most versatile of all summer hairst yles. All hair types and lengths can rock this effortless look. Here at Xhale, we have our Signature Altini Blowout, named after the Altini at Al J’s in the Conservatory. This look is meant to take you away to a much warmer place. 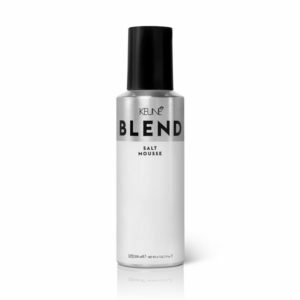 We use the Keune Blend Salt Mousse to achieve this look.